Technology continues to change the landscape of modern business, and the world of real estate appraisal is no different. You’ve probably had experience with websites and apps that let you find homes for sale in a given neighborhood and then give an estimate on the home’s market value. That value is driven by an automated valuation model, or AVM. So what exactly is an AVM? AVMs have been around since the 1980s, and in the 1990s became important tools for financial institutions in their evaluation of collateralized mortgage risk. Today, many companies use AVMs to aid in determining the market value of a given property. At its base, an AVM is a mathematically-generated valuation that utilizes property information to calculate an estimated value for a subject property through a computer software program. The development of AVMs is proprietary; this means that companies do not share exactly what data they use or how much they weigh one dataset over another. AVMs can be “tuned” to the requirements of the end user for which they are intended, which includes lenders, mortgage investors, servicers and consumers. This is why you will find a variety of AVM products online, with many different values for the same property. Where does an AVM get its information? AVMs take information about a particular house from public property records, including tax assessments and deeds. 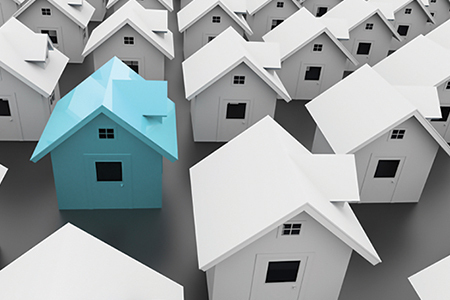 In some cases, AVMs purchase information from Multiple Listing Services (MLSs). MLS data can provide an AVM with more accurate comparable properties, detailed sales terms, and information acquired from a prior physical inspection. Can an AVM replace an appraisal? No. An important caveat to remember is that an AVM is not prepared, evaluated, or reviewed by a licensed professional appraiser. AVMs do not incorporate a current visual or physical observation of the interior and exterior of the home, quality of the construction or materials, the house’s overall condition, or how new or functional the house is by current standards. For example, a recently renovated bathroom or upgraded kitchen, which would normally affect the value of a home, would not be factored into the AVM’s calculation. Therefore, an AVM should not be relied upon as an appraisal report of the current market value of a specific home. Many REALTORS® have faced situations in which a client finds a higher AVM value for a property than what is determined by the real estate agent through a comparable market analysis. This leads to confusion, and sometimes arguing over the listing price for certain properties. Real estate agents use many pieces of information in developing their comparable market analysis, including market trends and their own expert knowledge. That being said, well-developed AVMs can be useful for quickly providing a general idea of a home’s value. For example, a real estate agent can use an AVM to obtain information on the range of a neighborhood’s home prices when developing a comparable market analysis. Lenders use AVMs for internal quality control purposes when reviewing appraisals, and may use an AVM in place of an appraisal when evaluating a home equity loan or a home loan refinancing—situations where an appraisal is not federally required. One such AVM tool is the Realtors Valuation Model®, or RVM®, an AVM produced by Realtors Property Resource® (RPR), a wholly-owned subsidiary of the National Association of REALTORS® (NAR). The RVM® incorporates MLS data licensed specifically for this purpose, and is provided at no charge to REALTORS® on the RPR website and mobile apps. For more information about the RVM® or RPR, please visit www.narrpr.com. For more information about NAR’s valuation resources, visit www.realtor.org/appraisal. Sehar Siddiqi is a federal housing policy representative for the National Association of REALTORS®.